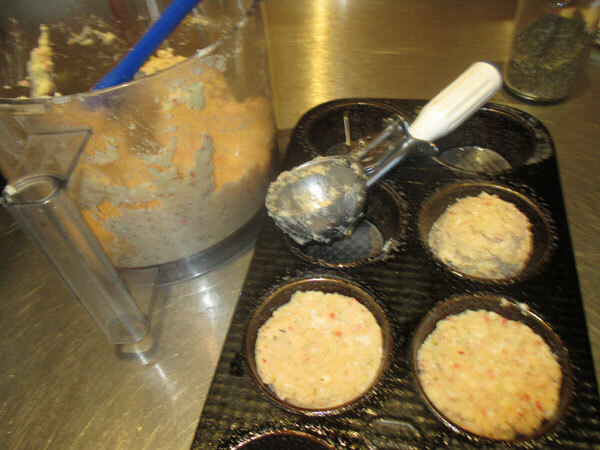 In the preparation of Maine Lobster Cakes, I eliminated the dipping, coating and frying steps and used a hot oven and muffin tin instead. 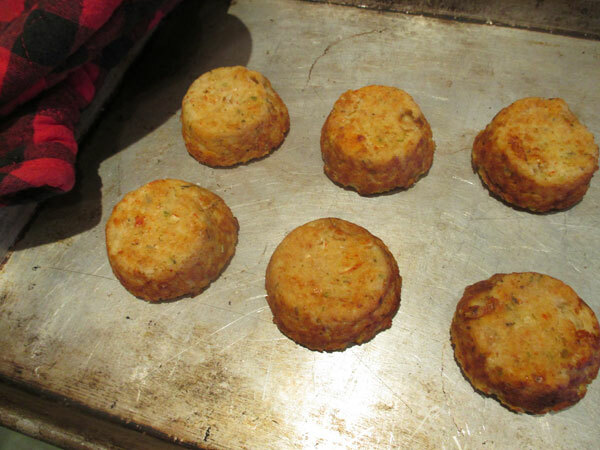 By combining all the ingredients and seasoning them well (think like flavoring a meatloaf), the mixture scooped easily into a well-greased muffin tin. The high heat from the oven made the sides nice and brown and crispy, while the centers were still melt-in-your-mouth delicious. Inspiration for this dish came from a bag of crumby potato chips and the contents of my refrigerator. 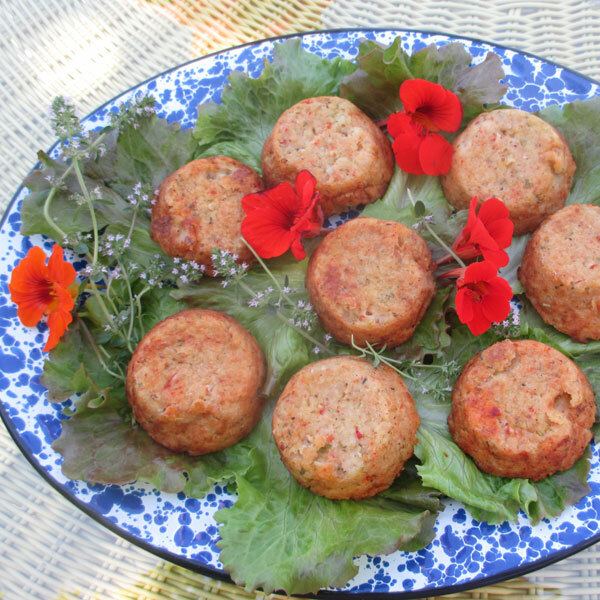 In creating any tasty seafood cake, similar to a meatloaf, there is no wrong recipe; just lots of room for creative interpretation. Scallions, green onions, chopped garlic, fresh herbs, hot sauce, sweet relish, Ritz cracker crumbs, grated carrots and celery; all add distinctive flavors. Liquids like lemon juice, mayonnaise, and cream help create just the right balance and texture. Make extra mashed potato to prepare these scrumptious morsels. Preheat the oven to 450 degrees. 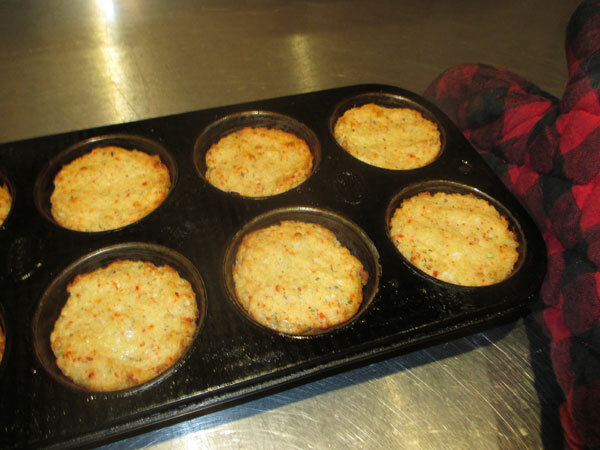 Generously butter a 12-cup muffin tin. 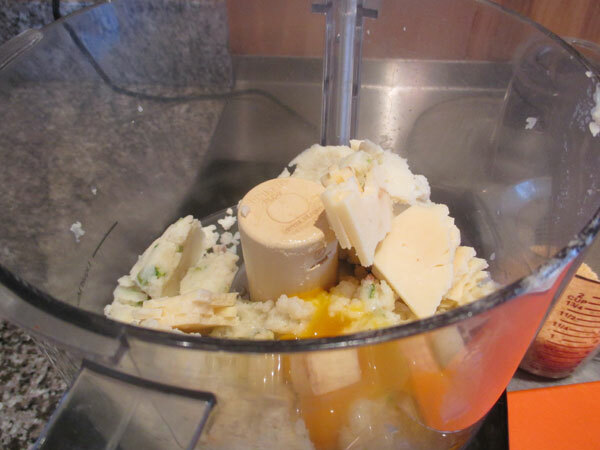 In a large bowl, or the bowl of your food processor, mix together the mashed potato, cracker crumbs, chopped garlic scapes, and egg. Stir in the grated cheese, Worcestershire Sauce, lemon juice and Old Bay seasoning. Add the lobster meat. Taste and correct the seasonings if needed. Remove from the oven. 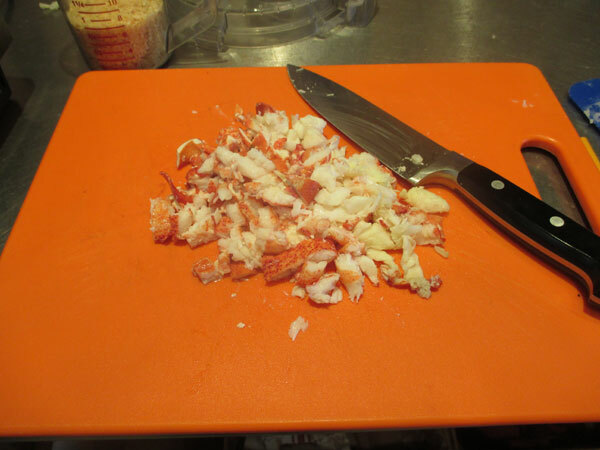 Let sit for 2 – 3 minutes, then loosen the sides (if needed) with a knife. Invert the muffin tin onto a sheet pan. Plate and serve.